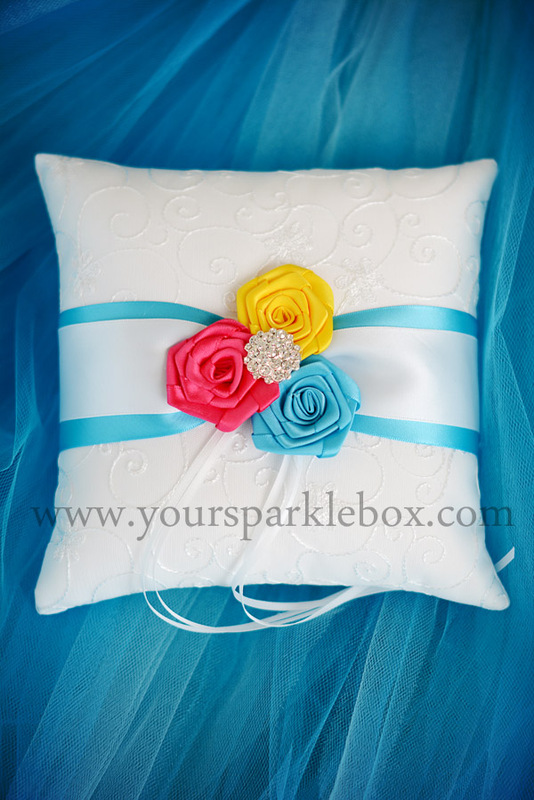 These gorgeous pillows are made to match your modern style flower girl dress and basket! I have designed these perfectly sized, easy to hold pillows are made with a loop of ribbon around the back for even the smallest ring bearer to safely carry your rings to the alter. They are fully customizable and can be made with your choice of color accents and flower styles PLUS they are available in both ivory and white! 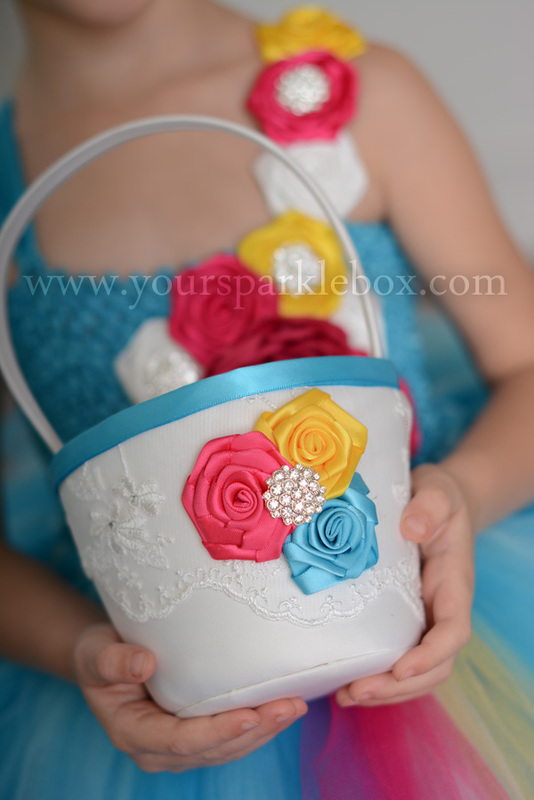 I also have a matching flower girl basket available for purchase, as shown in the second photo.